Cask Republic opened its second location in Stamford recently to expand on the popularity of its sister location in New Haven. Aptly named, the restaurant, well more accurately a beer and Whisky haven, features an enormous selection of beers on tap, and one of the largest selections of single malt Scotches in the area. The beer menu is as long as it is broad and represents almost every type of beer imaginable; included in the enormous beer selection are lagers, pilsners, bocks, ambers, browns, barley wines, Pale ales, India pale ales, wheats, whites, Belgians, porters, stouts, and for those varieties without a specific designation, EtCetera. Cask represents the candy store for beer aficionados. For those looking for a little stiffer refreshment, Cask also offers an equally impressive selection of bourbons, ryes, Scotch whisky and whiskey. An entire menu is dedicated to Single Malt Scotches with over thirty different vintages offered. The atmosphere is both relaxed and vibrant. Grab a table or booth with friends, meet new friends at the communal table, or chill in a lazy chair by the fireplace, Cask offers as many options for seating as it does beer and spirits. The food is definitely the younger sister to the beer and spirits. Focused to pair with the beer and spirits, the menu includes cheese boards (8 choices), a few pizza combinations, plus small and large plates. Indulge in “Small Plates” ranging from “Kale Salad” with radicchio, lentils, cranberries, walnuts and creamy ginger vinaigrette to “Smoked Short Rib Meatballs” with IPA BBQ glaze and crumbled Maytag bleu cheese, to “Soy Glazed Wings” with jalapeno ginger-lime sauce to “Baby Surf and Turf” with tenderloin, shrimp, potato cake topped with blue cheese truffle sauce. I really liked the Pork Confit Sliders, the meat was tender and the sauce delivered great flavor and if you see those on the menu grab a couple of orders for the table. Larger plates are more limited and include a couple of sandwiches, “House Made Lamb Pastrami Reuben,” and a “Fork & Knife Sandwich” with thinly sliced short rib, cranberry aioli, gorgonzola, and caramelized onions, and more substantial options including salmon, steak and chicken. Whether you are a beer and spirits maven, want to sample and expand your beer IQ, or show off and buy the table a round of $32 bourbons Cask offers something for everyone with a variety of food. 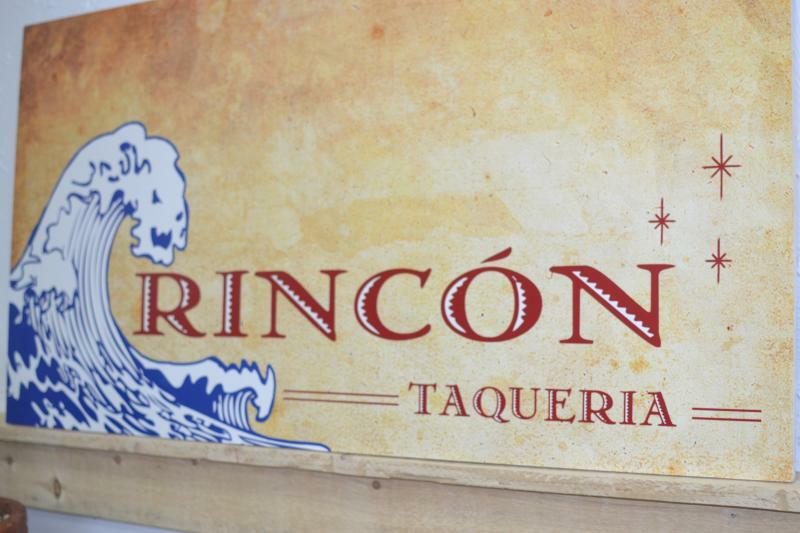 Rincon Taqueria is the epitome of a hidden gem. The exterior is fairly non-descript and the interior is one large, open space, but the food is delicious. As you enter there are tables for twenty patrons to the left and behind these tables is a long glass deli case containing large baskets and bowls filled with several varieties of chili peppers. Along the right wall are three six-foot tall refrigerators with bottles of soda, home-canned items and take-away containers, including homemade apple sauce, beef and vegetable soup, cassoulet with duck and pork, duck confit. Taqueria? The young lady behind the counter asked if I needed assistance. I looked at the wall behind her and saw two large hand-written chalkboard menus with more traditional taqueria fare…Huevas Rancheros, Burritos, Chilaquiles, Tacos, Empanadas, Tamales and a Chicken Quesadilla. I ordered a trio of tacos…a fried fish, a beef and a pork. As it turns out the young lady is one of the owners, Maria Munoz Del Castillo. As I waited, Maria brought a plate of Frijoles con Arroz. 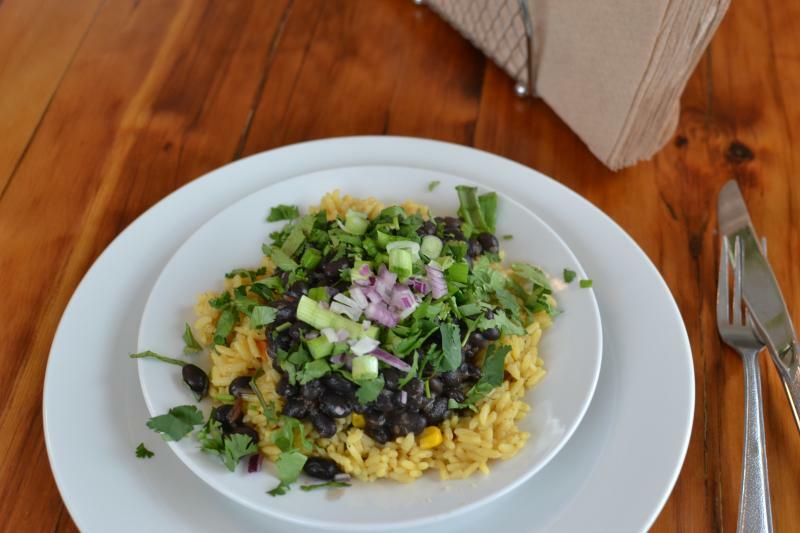 In addition to the slightly spicey rice and black beans, the dish contained a few green beans, corn, scallions, diced red onions and topped with cilantro. It was a very pleasant way to wait for my meal. The tacos arrived and each had a generous amount of filling and these tacos were not just meat and salsa, there were several additional toppings on each. I started with the fish taco since I thought this would be the mildest. It contained three pieces of lightly coated and fried fish, topped with cilantro pesto, salsa, fresh cilantro, diced red onion and scallions. The flavors were bright and delightful, accentuated by a good amount of garlic. This was not a typical Baja fish taco and it was delicious. I next moved to the beef taco. 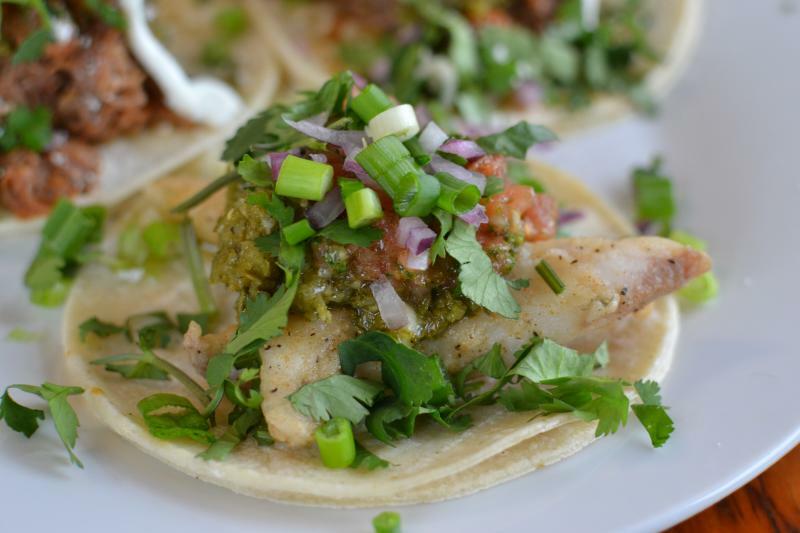 In addition to the toppings of the fish taco, the beef taco was topped with a sprinkling of grated cheese and crema. The first bite was fantastic. The shredded meat was a deep braised beef, full of bold flavors. This taco was a combination of Latin and Basque flavors with the mild hint of spiciness from the chili peppers. The beef and the toppings could easily be served by themselves as an entrée. The pork taco was even better. Instead of the traditional sautéed cubes of pork, this rendition started with a mound of shredded pork. The texture and flavors indicated a long, slow cooked pork shoulder. The toppings were the same as the beef taco, with just a little more spice. The pork was one of the best braised pork dishes I have tasted and, like the beef, could easily be served as an entrée. The pork taco was outstanding. After I was finished, I asked Maria about the food and the recipes. She informed me that her mom was the talent behind the cuisine. She was raised in Chile, was a formally-trained French chef and her family previously owned Bistro du Soleil in SONO. You can taste her love of the Basque cuisine in each of the dishes. I entered Rincon Taqueria looking for some good tacos and left with the knowledge that this newly opened restaurant was serving some outstanding non-traditional cuisine. 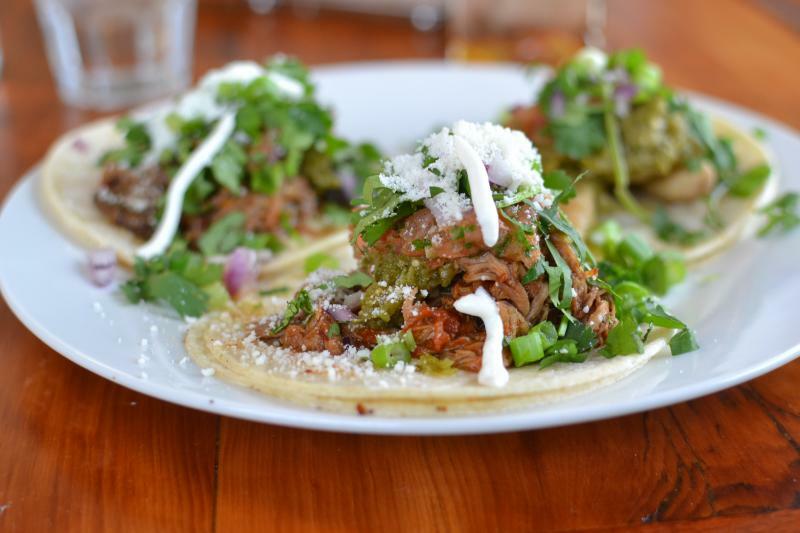 This is not your everyday taqueria. Stay tuned when I return to Barolo after its opening to report back. Chef Brian Lewis of elm Restaurant in New Canaan recently announced that Chef Mark Butcher has joined his team as the Chef de Cuisine. So with a major winter storm looming, I decided to enjoy the Chef’s Table overlooking the kitchen, speak with Chef Butcher and enjoy elm’s extraordinary Chef’s Tasting Menu. 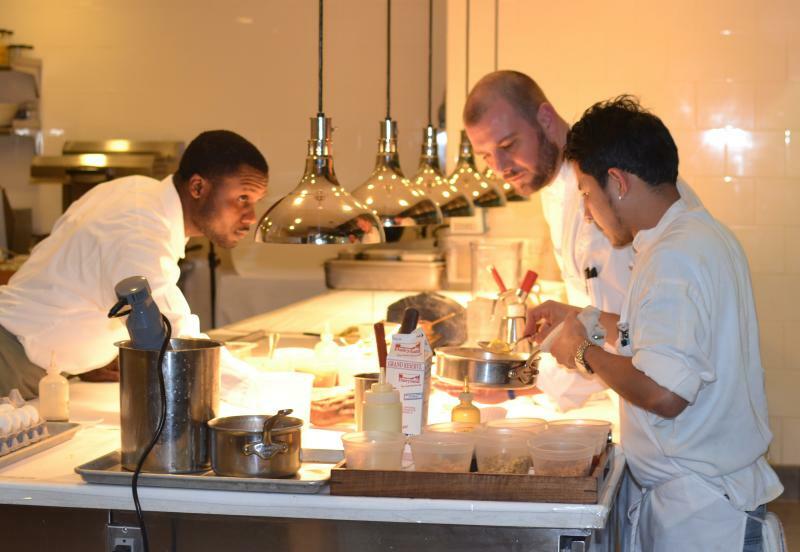 Prior to joining elm, Chef Butcher worked with Master Chef Joachim Splichaat at Los Angeles’ Patina Restaurant, known for delivering a “surprise” in many of their dishes. After several years in sunny California, Chef Butcher relocated to the area with his wife and one-year old son. 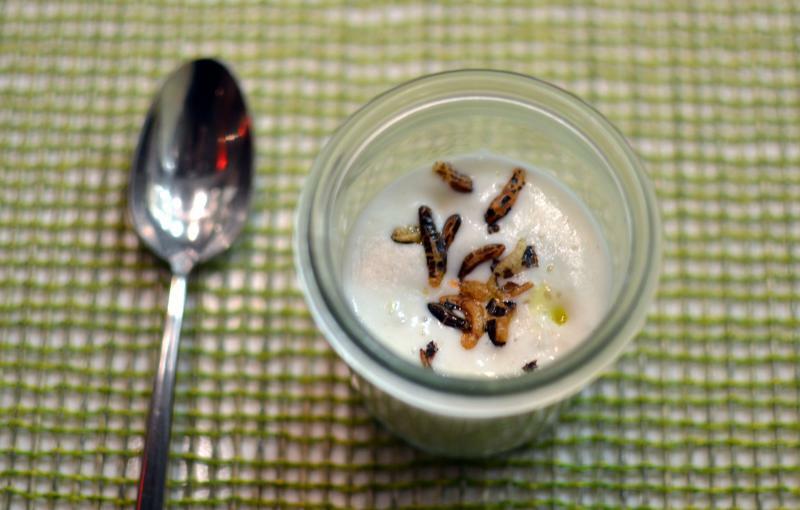 To begin the meal the chef presented a light crema with a touch of trout roe, puffed rice and topped with a Robiola fonduta. The dish was smooth and the flavor was accentuated by a slight saltiness from the mild roe and the slight tangy Robiola. The rice added just a touch of textural contrast to the smoothness of the crema. This was a calming start to the meal. The next dish was a duet of Kusshi oysters topped with shallots, baby capers, a dash of cumin and Marcona almonds. This was one of Chef Butcher’s creations and is an indication of his talents. There were flavors galore with the mild brininess of the oysters combined with the tanginess of the shallots, the saltiness of the capers and the earthy and crunchy addition from the almonds. This all made for a delightful combination of flavors that exploded on your palate. The citrus cured Hamachi with Cara Cara orange segments, fennel, grapes and finished with a habanero cream and Shishito pepper oil was divine. 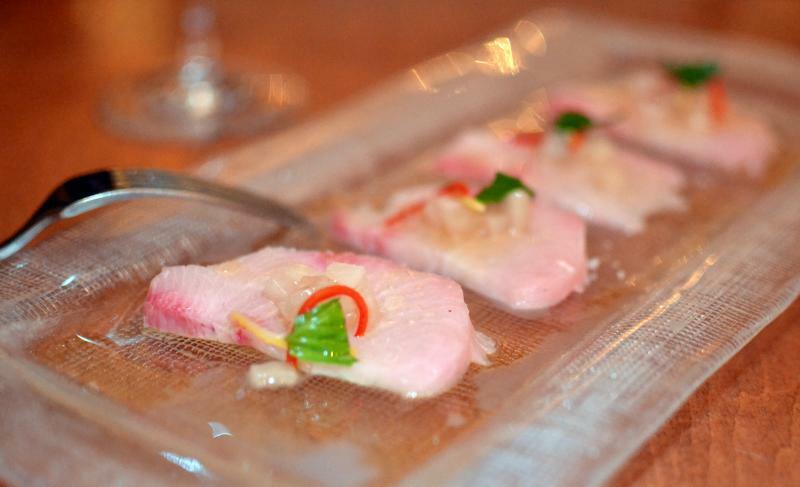 The sliced Hamachi was the great canvas for the abundant flavors of the other ingredients. The sweet orange segments were perfectly offset by the heat from the cream and the pepper oil and then small diced pieces of pickled shallots added the final and delicious component. As we overlooked the kitchen we noticed one dish that was most often ordered, the Blis maple bacon and eggs. Eggs shells were first filled with creamy scrambled eggs, a little maple syrup was added, a touch of candied bacon and then topped with a mild cheese. Each bite was a perfect blend of Sunday morning breakfast memories. Served with buttered and grilled brioche, this would make for a wonderful brunch dish. The next presentation was Ahi tuna wrapped around an avocado cream and topped with a soy caramel glaze, sesame seeds, a slice of radish and a cilantro leaf. 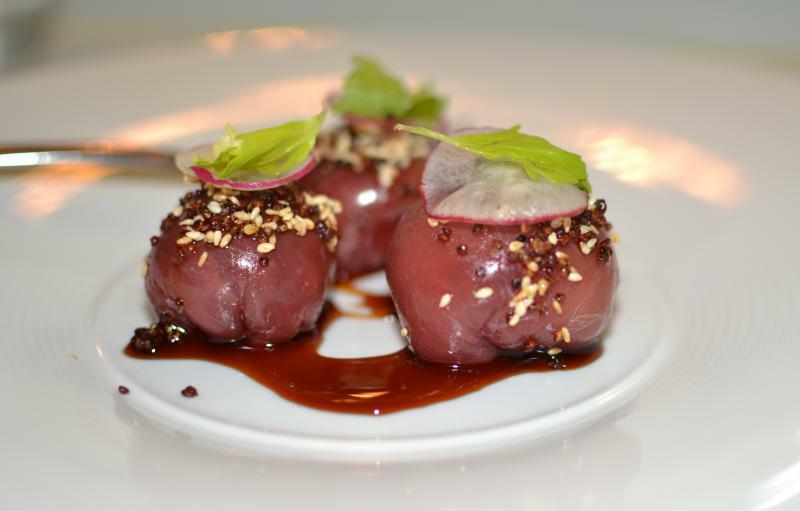 The thick slices of Ahi were delicious and when combined with the sweet richness of the soy caramel, the crunchiness of the sesame seeds and the radish and cilantro created a perfect balance of flavors and textures. Visually, the next course was beautiful and the flavors were outstanding, the beet salad with Burrata, Sicilian pistachios, greens and citrus oils. 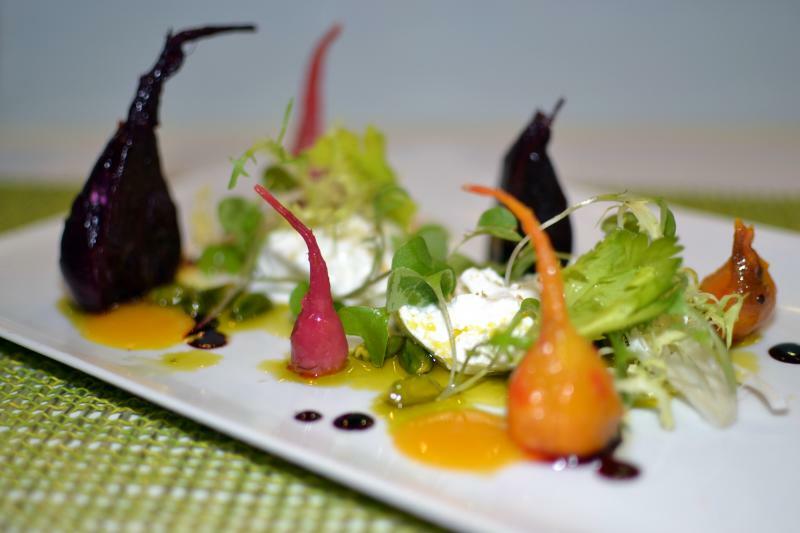 The presentation included several variety of beets that were mild and earthy in flavor and offered subtle differences. 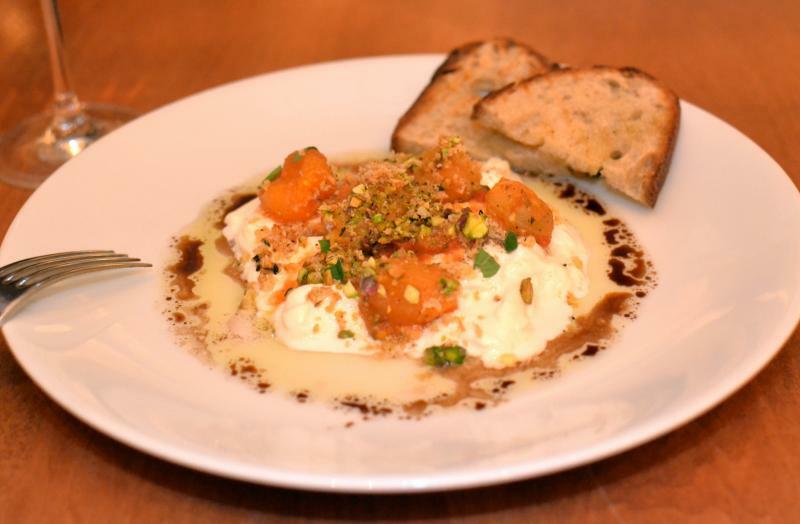 The Burrata was creamy and elegant and balanced the flavors of the citrus and beet reductions. This was bright and delicious preparation. 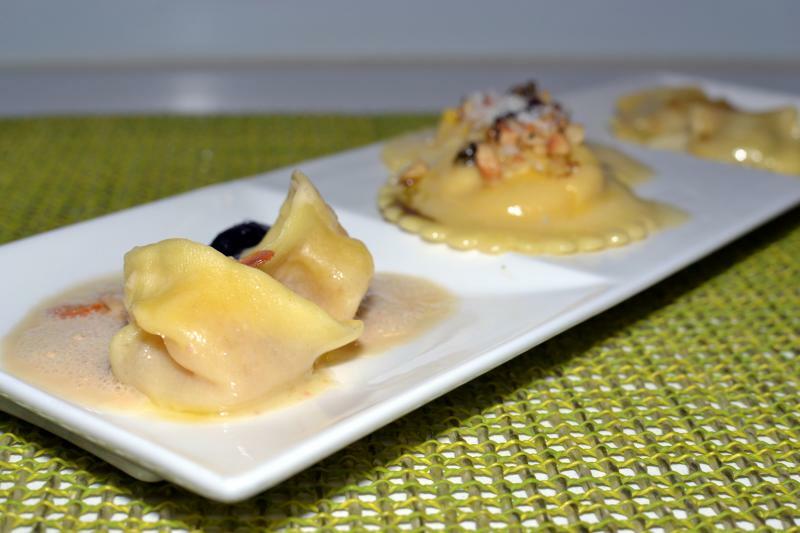 A trio of pasta creations were next placed in front of us and included red kuri squash ravioli; pork cheek agnolotti; and foie gras cappelletti. This is an outstanding choice to understand the various directions that pastas can take. 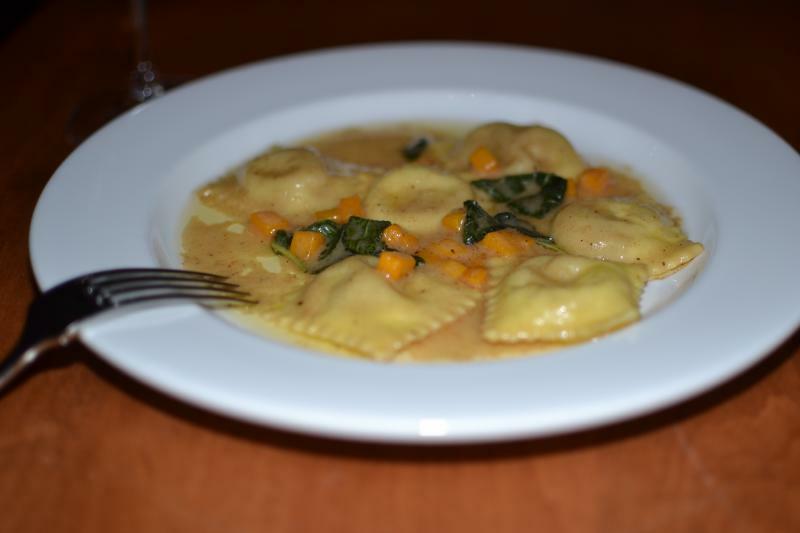 The sweet red kuri squash ravioli was accented with hazelnuts, sage and parmesan. The sweetness of the squash and the earthiness of the hazelnuts were a perfect pairing and was fantastic. The pork cheek filling to the agnolotti was delicious and was complemented by the smooth cream. The richest of the three was the foie gras cappelletti, served with drunken prunes and amontillado sherry. The combination of sheer decadence of the foie paired with the sweetness of the prune was brilliant. 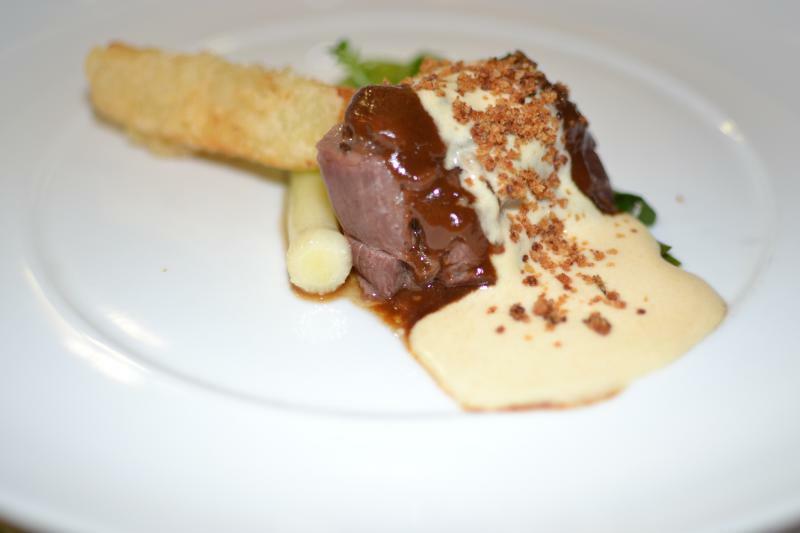 The Wagyu beef tenderloin was served with a rich coffee infused Cumberland sauce, duck fat potatoes, pickled shallots and leeks. The beef was prepared to medium rare, incredibly tender and rich in flavors. The earthiness of the coffee and walnuts in the Cumberland sauce added to the depth of flavor and then the crispiness of the fried potato and the leeks added incredible flavors to this already outstanding steak. Dessert was a delicious ending to a perfect meal. 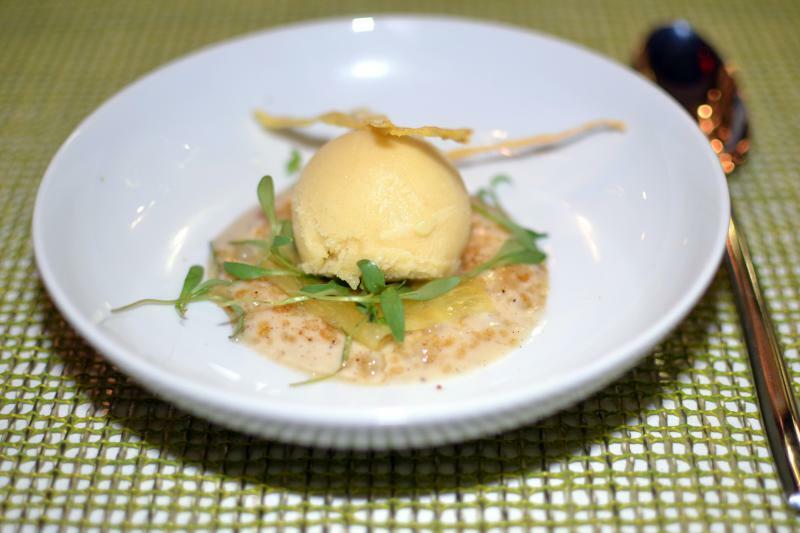 The coconut tapioca brulée was served with a pineapple carpaccio, cilantro, and topped with a scoop of pineapple sorbet. This was a delightful combination that reminded me of a wonderful Pina Colada. The scoop of sweet pineapple sorbet was nestled the coconut tapioca and offered a delightful complement to the texture of the tapioca pearls. This is an fantastic option for any guest looking for a sweet, non-chocolate dessert. Overall the meal can best be described as brilliant interpretations, incredible combinations with flavors and textures that sets the standard for incredible cuisine. I look forward to many more outstanding visits to Brian Lewis’ elm Restaurant to enjoy some of the best cuisine in Connecticut. 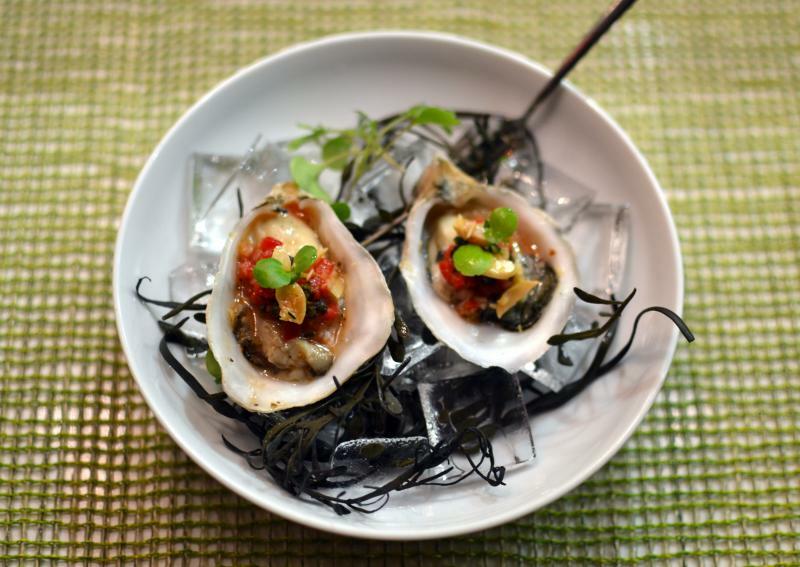 Located in a small storefront on Summer Street in downtown Stamford is Kotobuki. Enter the restaurant and you can choose from several tables or wander to the back of the dining area and sit at the sushi bar. After several visits over many years, I would recommend Kotobuki as a place to enjoy very basic,but very good and fresh sushi, and in the end fresh is good. The miso soup is full of flavor and really warmed us on a cold winter night. The fried dumplings were very small, one bite per dumpling but really good flavor.Some my think both are a little on the salty side. The rolls (eight piece per) are very small in diameter, may 1″, tasty but I wanted more fish in each. Most of the choices contain “spicy” with a couple of combinations that I have never seen on any other menu, i.e. a Betty Roll. The menu also includes a la carte sushi and sashimi selections, the price on the menu is for 1-piece sushi. Each piece is large, the tuna and unagi were very good. Overall, Kotobuki is a quick place to grab some fresh sushi. 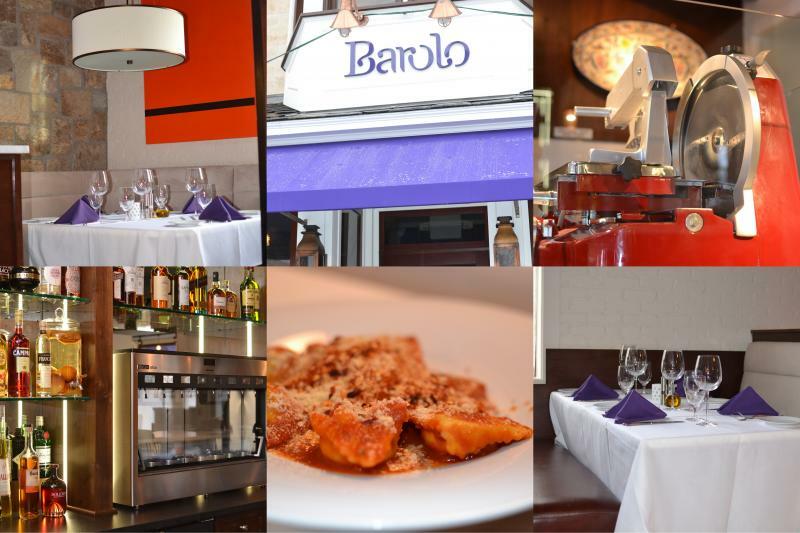 Morello Italian Bistro is architecturally one of the most beautiful restaurants in Connecticut and offers equally delicious cuisine. The exquisite interior of the landmark building on Greenwich Avenue was designed by Rafael Guastavino, Jr, whose father invented the golden amber tile vaulting system that grace the pillars, herringbone arches and ceilings. Art adorns the walls, and the soft, hand blown white tear-drop shaped glass chandeliers, descending from the ceiling create a beautifully romantic atmosphere for dinner. As we worked our way through appetizers, pastas, entrees and desserts General Manager Jimmy Branigan, Jr. was the perfect host, stopping by the table on several occasions to explain the composition of many of the courses and offer suggestions from the reasonably priced wine list. 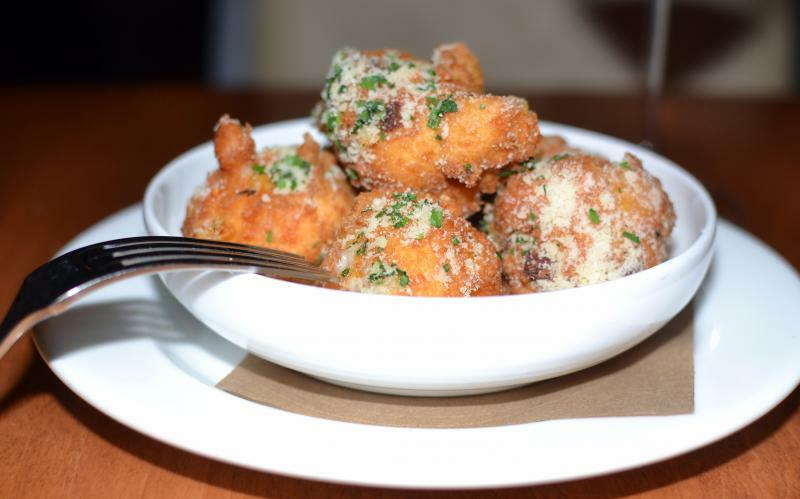 While we leisurely perused the menu, we enjoyed the “Prosciutto & Parmesan Fritters.” The large fritters delivered complementary textures and flavors. The crisp exterior was offset by the marvelously smooth interior, which presented a delicious combination of prosciutto and Fontina cheese. The dish was finished with a sprinkling of Parmesan cheese which added the perfect level of saltiness to the fried exterior. An order or two for the table is an excellent way to start the meal. We next shared several of the appetizers including the “Hamachi Crudo,” the “Roasted Asparagus & Egg,” and the “Imported Pugliese Burrata.” My favorite was the crudo. Four thick, sashimi-style slices of Hamachi were accented with basil, pickled pear, lemon zest, chili, extra-virgin olive oil, and finished with sea salt. The Hamachi was more than capable of handling the slightly soured pear, the acidity of the lemon and the sea salt; the basil added a unique dimension that made for a delectable composition. The Asparagus & Egg was also delicious and would be perfect for a Sunday brunch. 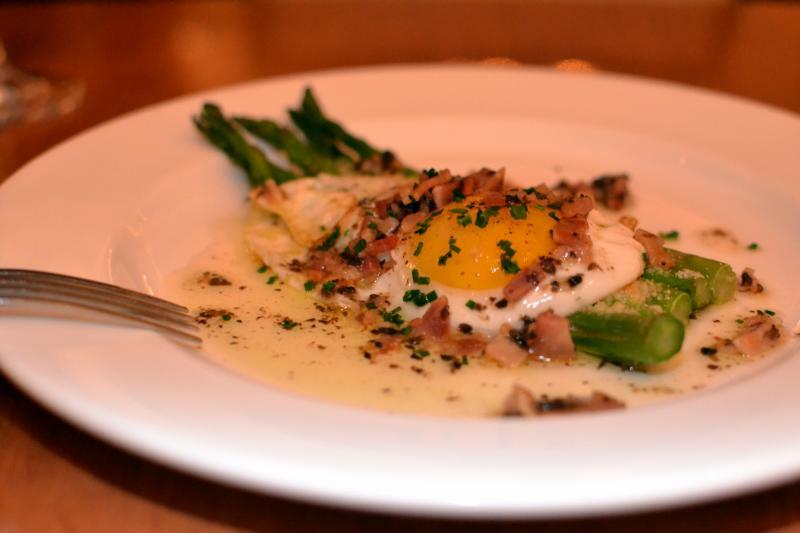 The asparagus were crisp and sweet, sprinkled with Parmesan cheese and then topped with the fried egg. 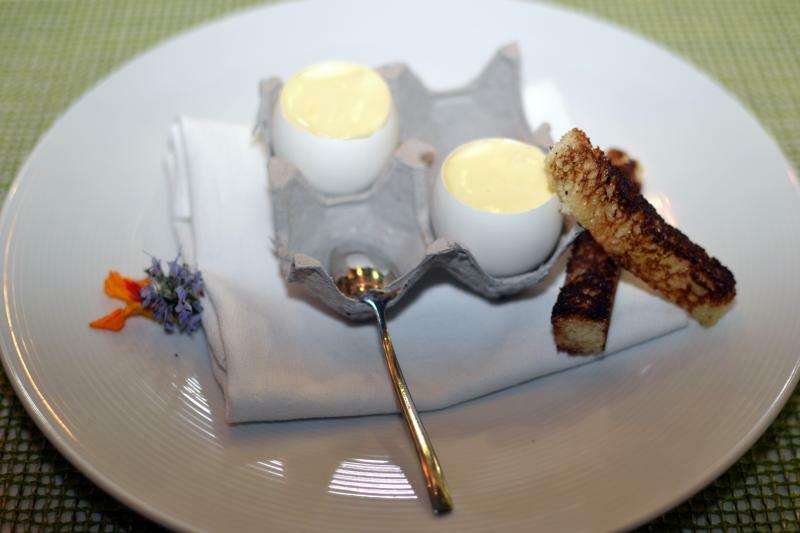 When the yolk was released, its creaminess was a delightful combination with the asparagus and cheese. The Burrata was less than satisfying. The cheese was too tangy for my taste and overwhelmed the warmed tomatoes and pistachios. Pastas can be ordered as an entrée or as half-portions for an appetizer. My favorite of the three that we ordered was the “Butternut Squash Ravioli,” which was served with brown butter, and finished with diced squash and sage. Six raviolis comprised a half-portion. The pureed squash was sweet and smooth and the brown butter and sage were a perfect complement. 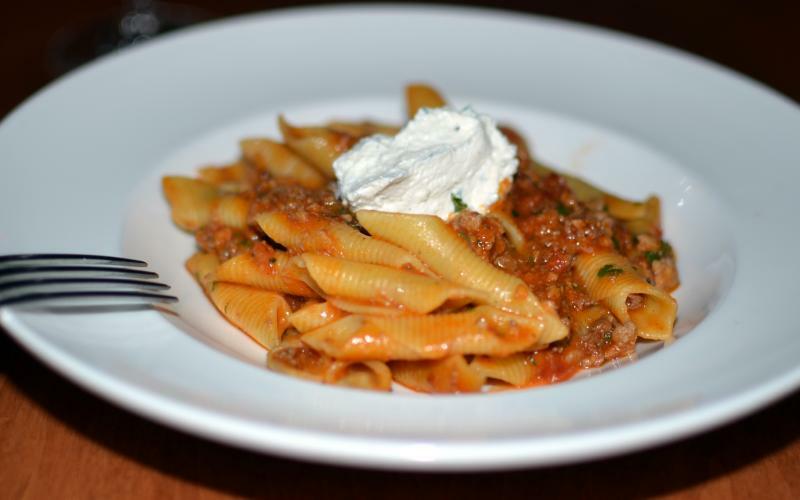 The “Morello’s Garganelli Bolognese” was a very good rendition. The all-beef sauce was deep in flavor and the house-made garganelli’s shape allowed the sauce to cling to each piece. The addition of the herbed ricotta added a few background accents that created a wide flavor profile. 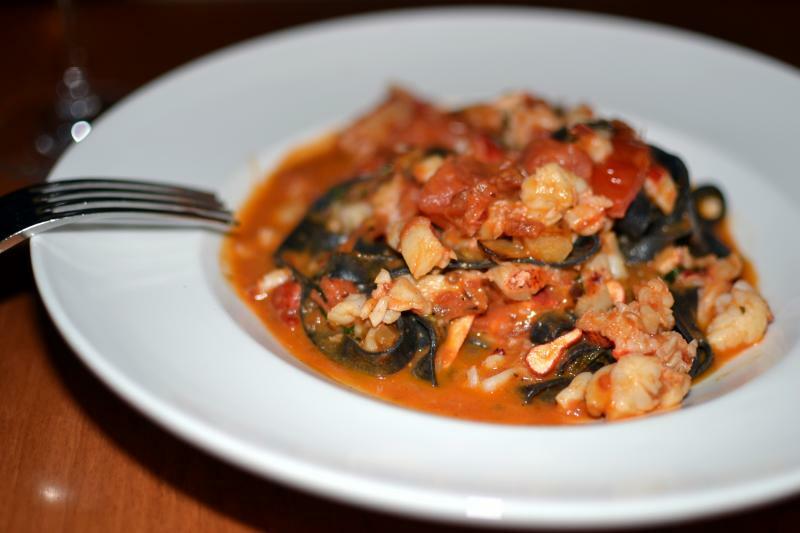 The third pasta was the “Squid Ink Pasta with Lobster.” I was not fond of this combination. While the pasta itself was delicious, it was slightly overcooked and a little gummy. The sauce contained a lot of sweet lobster meat, but lacked the vibrant flavors that the other dishes delivered. 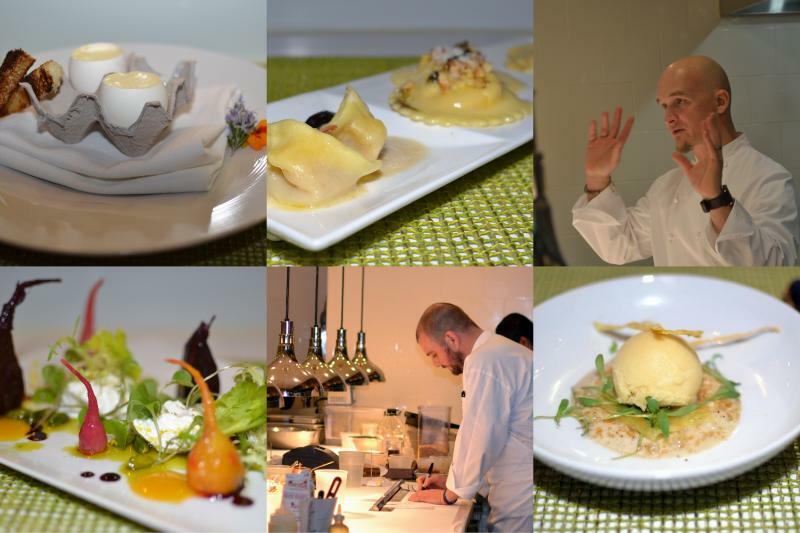 The three entrées presented very different combinations. The “Hudson Valley Magret Duck Breast” was accompanied by gooseberries, pistachio pieces and red watercress, all served atop two brushes of cherry sauce. 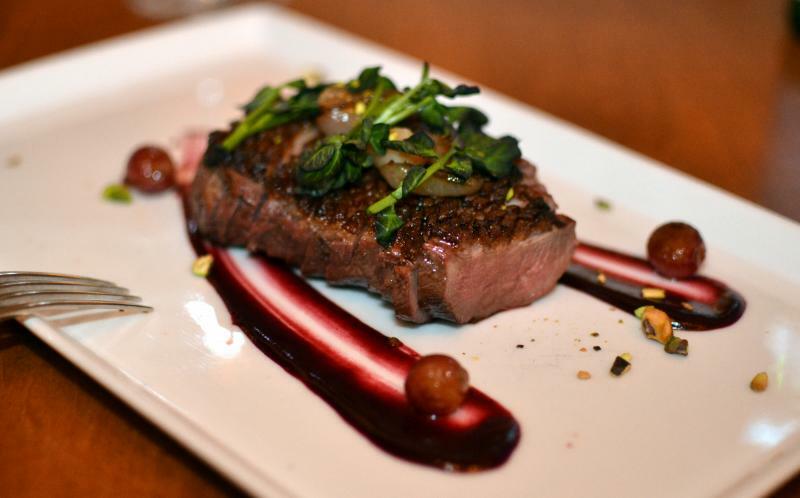 The duck breast brought the texture and richness of a great beef or lamb filet, deep and rich with a firm texture. The gooseberries and the pistachios offset the gaminess of the meat with sweet and nutty notes, respectively. The duck was a delicious choice. 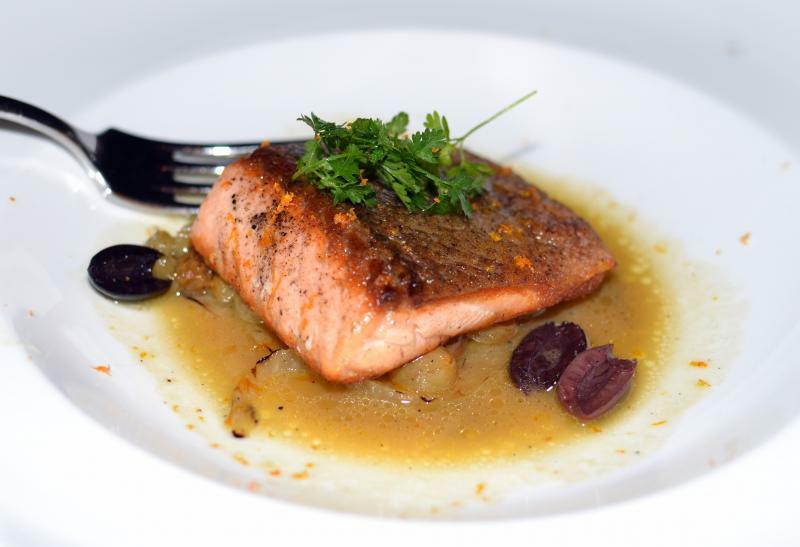 The “Pan Roasted Scottish Salmon” was served atop fennel braised in orange juice, olives and raisins. The fish was prepared to my requested medium and was deep and rich in flavor and the accompaniments brought bright notes to the preparation. Offsetting and brightening richness of the fish were the sweetness of the orange braised fennel and the raisins; while the olive brought a hint of saltiness. The skin was over-salted and I removed it to better enjoy the fish. 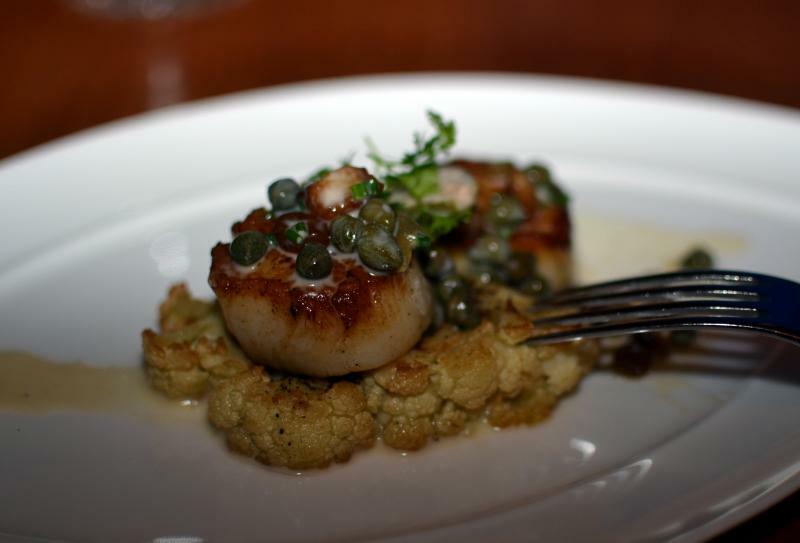 Our third entrée was the “Roasted Scallops & Caramelized Cauliflower” with capers, caper berries, sultanas, and pancetta and served atop roasted cauliflower. The first taste included some of the capers, which were extremely salty and I needed to push them aside. Once the capers were eliminated the dish was significantly better. The scallops were perfectly seared on both sides, translucent on the interior and delightfully sweet. The sultanas delivered additional sweetness, the pancetta added the necessary saltiness, while the cauliflower added an earthy complement. The three desserts were outstanding. 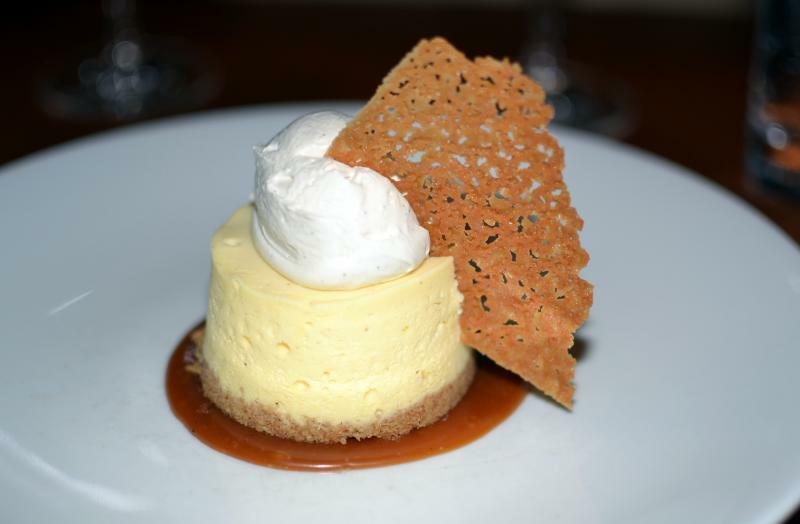 My favorite was the “Salted Caramel Cheesecake.” The individually prepared cheesecake had a thin graham cracker crust and was presented nestled in a dollop of perfectly prepared caramel sauce. The filling was not too sweet and when combined with the caramel sauce was fantastic. The whipped cream added a little creaminess and the dish was complemented with a crunchy almond tuile. 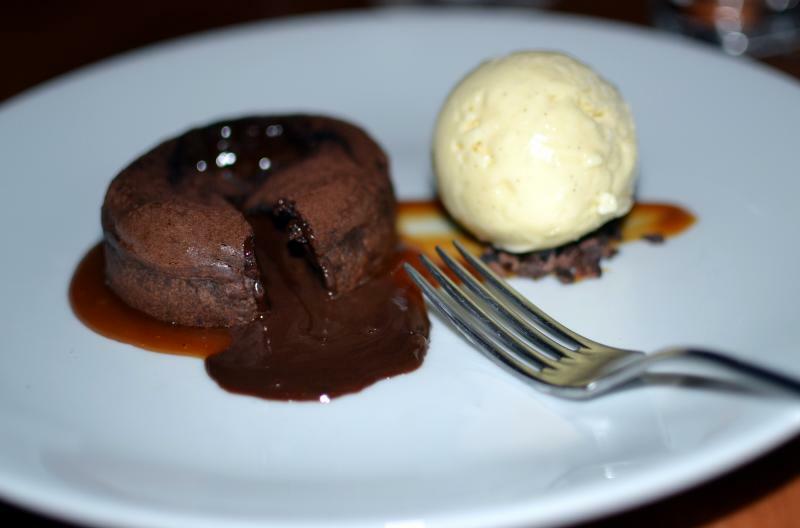 Another fabulous choice was the “Molten Chocolate Cake.” Morello’s version included a dark chocolate cake with a milk chocolate center sitting in a pool of caramel and served with a scoop of vanilla gelato. Each of the components presented a different amount of sweetness and when combined created a delicious and beautiful offering. Our last dessert was the “Yogurt Panna Cotta.” Whereas the other desserts were focused on sweet, the panna cotta offered a slightly tart alternative. 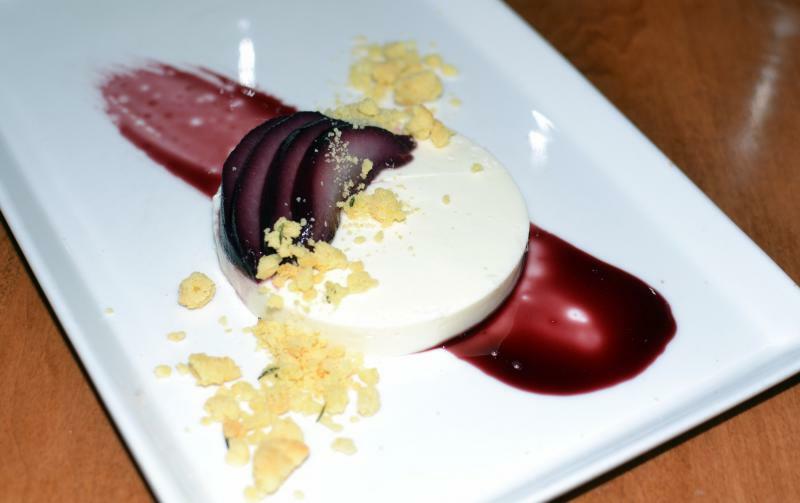 The panna cotta was served with Nebbiolo poached pear slices, and topped with thyme accented semolina crumbs. The pears were incredibly flavorful from the wine poaching and complemented the tartness of the yogurt panna cotta. The crumb added a good textural difference. 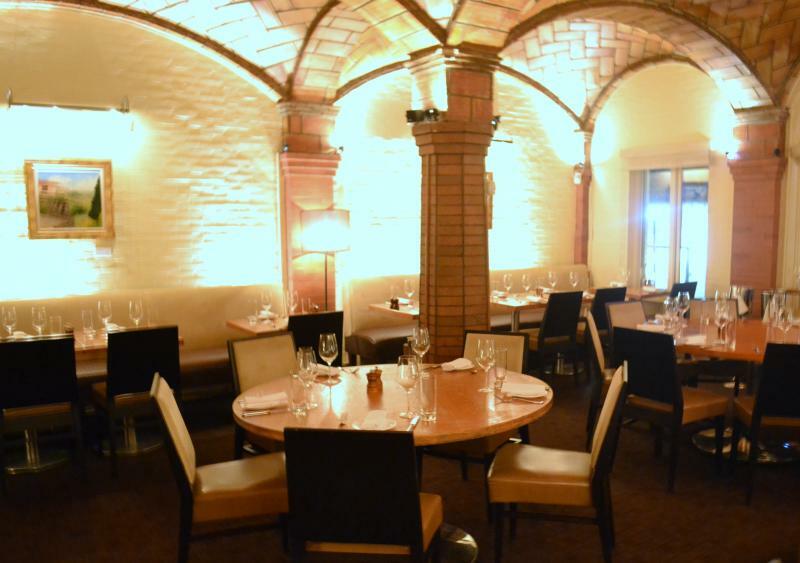 Morello Italian Bistro is a beautiful restaurant with some outstanding dishes for both a romantic special event or a simple dinner with friends. 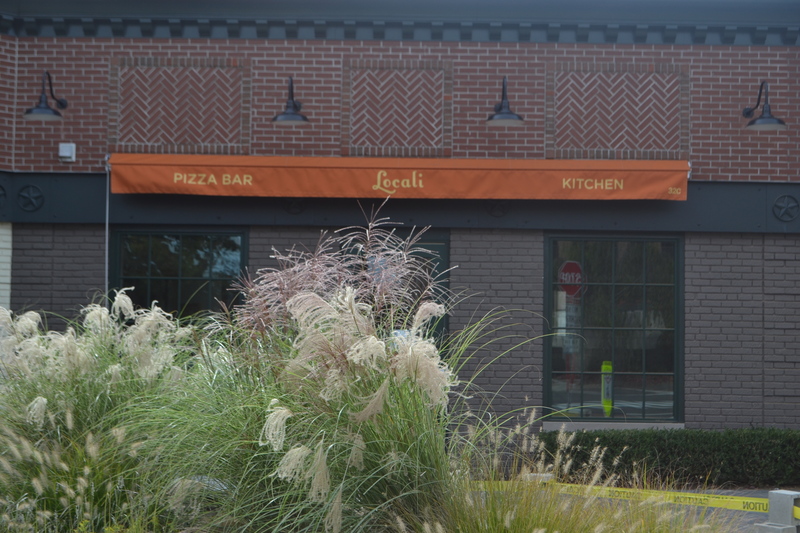 A few weeks ago I posted a review over at http://www.ctbites.com on Locali Pizza Bar & Kitchen. Over the last few weeks I have returned numerous times to enjoy some of the best pizza in Fairfield County. 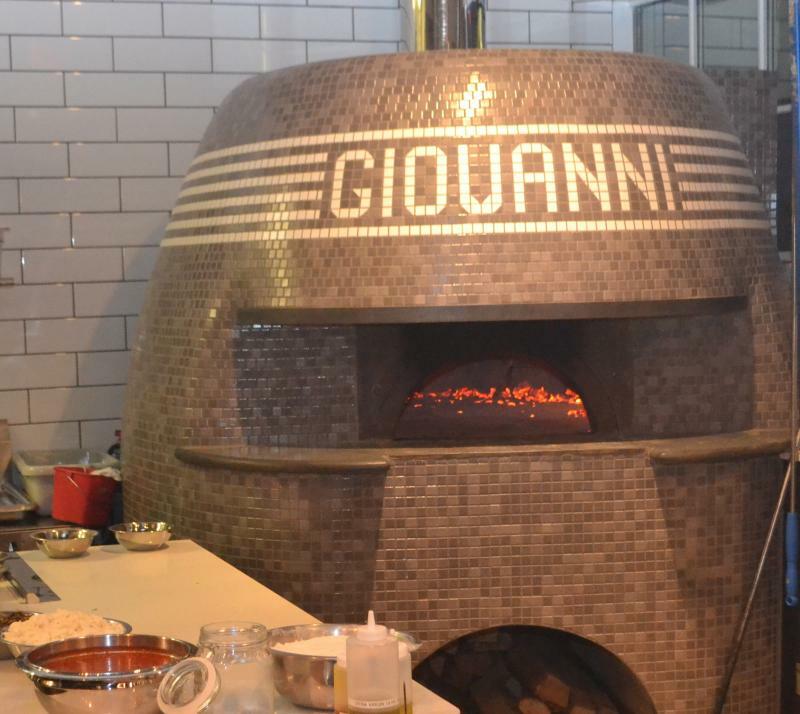 The pizza that is baked in their enormous ceramic covered, wood-fired oven produces a wonderful charred crust with a crispiness that maintains the integrity of the pie with the delightful toppings. From a simple Marinara to a complex Spicy Capicola, Chef Anthony’s pizzas are setting the standard for true Neapolitan pizza. There are three elements to a pizza, the dough, the sauce and the toppings. Miss one and the pizza fails, each must be perfect by themselves to create a flawless pie. 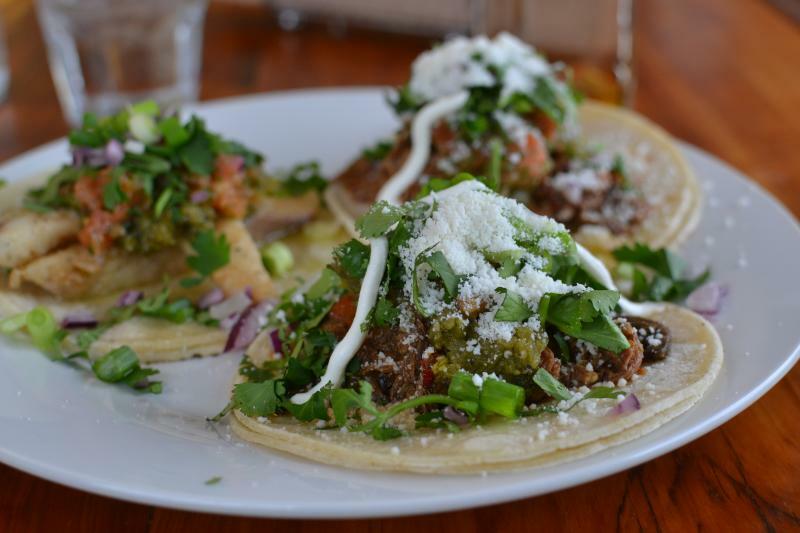 And Locali hits the trifecta with several options for the last. The dough is delicious. The taste delivers just a touch of sweetness, the texture balances the slight bite and crispiness, and handles the 800+ degree oven to create a charred rim. The sauce accentuates the deep, rich flavors that only true DOP San Marzano tomatoes can offer and the toppings range from mild to spicy, blend these to create individual desires. 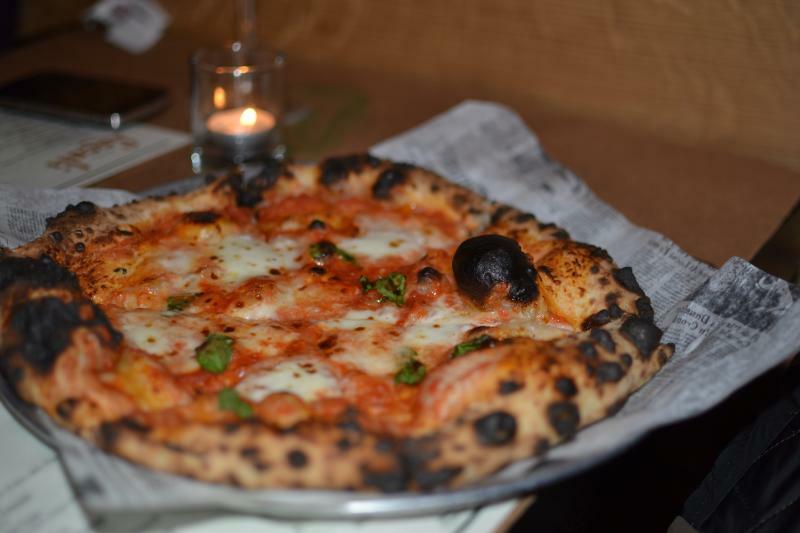 The “Marinara” is the classic apizza featuring two of the ingredients, dough and sauce. The simplicity of this pie allows the guest to enjoy the ripe tomatoes, accented with a touch of garlic and sea salt. The “Margherita” apizza adds a few circles of house-made Mozzerella and Pecorino cheese, finished with basil leaves. The addition of the creamy Mozz mellowed the flavors and the basil added just a touch of earthiness. 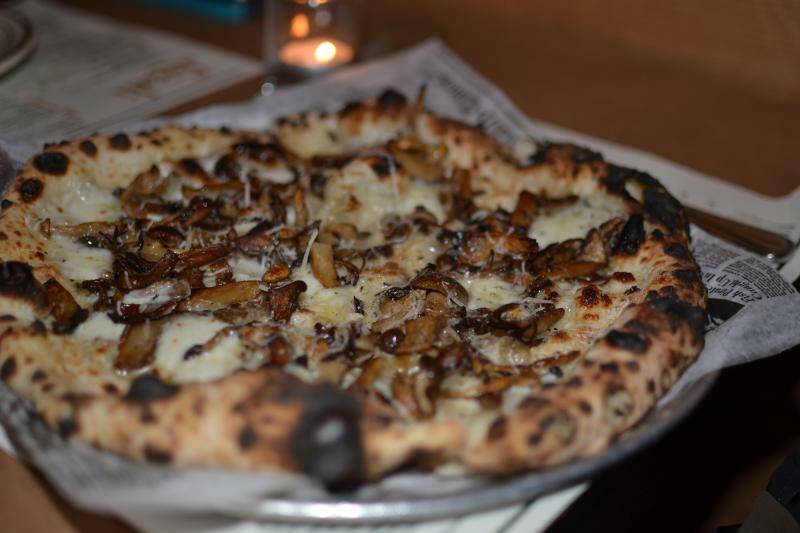 A totally different flavor profile is found in the “Wild Mushroom” pie. Void of tomatoes, this combination focusses on the deep, earthy flavors of a variety of wild mushroom, nestled in cheese and finished with a sprinkling of Pecorino. If you are looking for a spicy combination, order the “Spicy Capicola,” with toppings that include Mozzarella and Capicola and then finished with Mike’s Hot Honey. I never thought I would enjoy honey on a pizza, but its sweetness was the perfect complement and mellowed the spiciness of the Capicola. pistachio nuts for a little crunchiness. 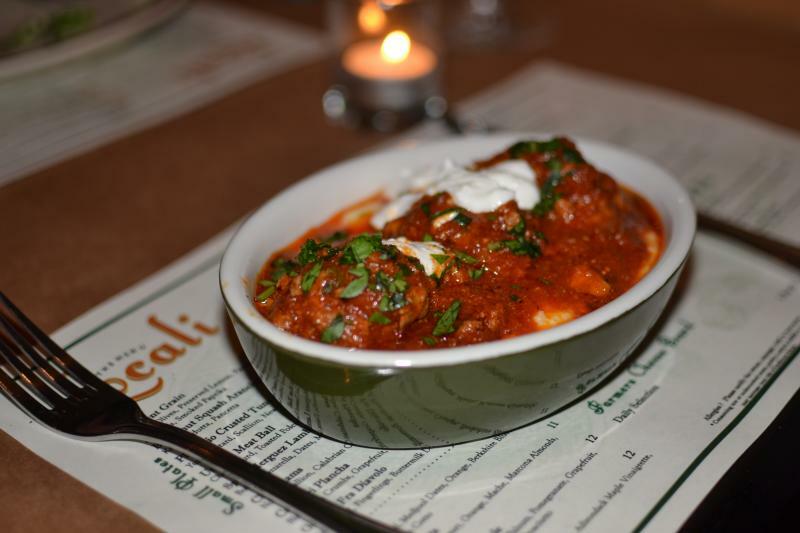 For a meat selection, order the meatballs that are some of the softest and most flavorful combination when paired with the Locali cheese curds. 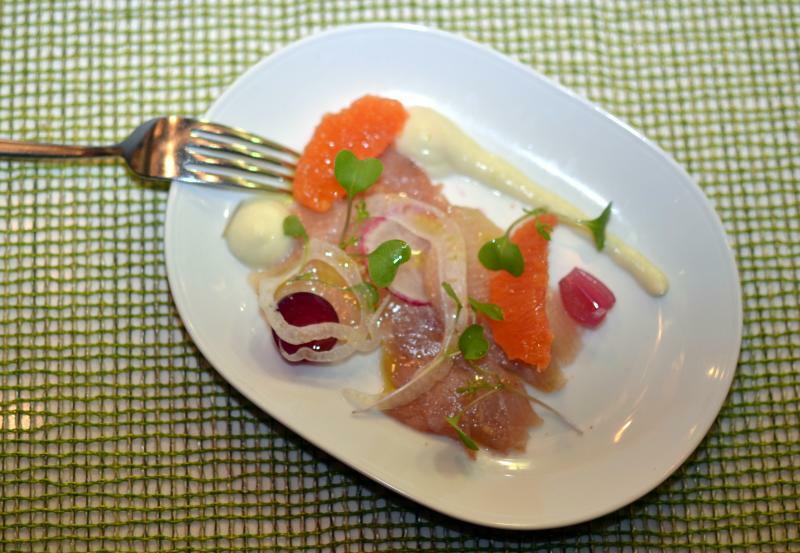 Locali is a great addition to New Canaan and should not be missed.